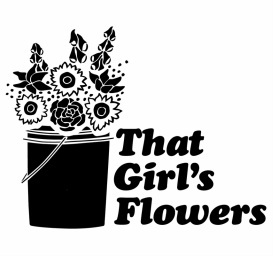 That Girl's Flowers is a certified organic cut flower farm located in southwest Ohio, halfway between Cincinnati and Dayton. We grow over 50 different varieties of flowers and foliage, ranging from the old fashioned Zinnia to the elegant Lisianthus. During the summer, we pick multiple times every week and arrange each flower with care and attention to make one-of-a-kind bouquets. 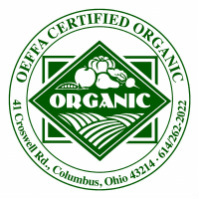 We take pride in providing our customers with the highest quality floral arrangements, all without the use of synthetic pesticides and fertilizers. We sell farm fresh bouquets and sunflowers at our farm stand, through our bouquet CSA, and at farmers' markets and grocery stores. You can choose from our pre-arranged selection or get in touch to place a special order. We also sell flowers in bulk for florists and customers looking to arrange themselves.